Dear Government, Do your job so that I can do mine! When the government shutdown was first looming in the distance, I received an email from one of my clients’ lenders. She explained in her email that “IF” the government was to shut down, my client’s Rural Development Mortgage, which was nearing the final stages of processing, would be delayed until the government was re-opened. Soon after I received the message, I called my mother to complain. She is sort of my go-to girl when I feel the urge to let it all out. My poor mother. Anyway, she convincingly eased my worry and explained that the shutdown probably wouldn’t happen. My clients were scheduled to close between October 7th and October 11th. Today is the 11th. No end in sight. Luckily, the sellers understand the setback and are willing to extend the closing date. My clients were able to make arrangements with their current landlord and at least we are in a situation where everything will, hopefully, work out in the end. 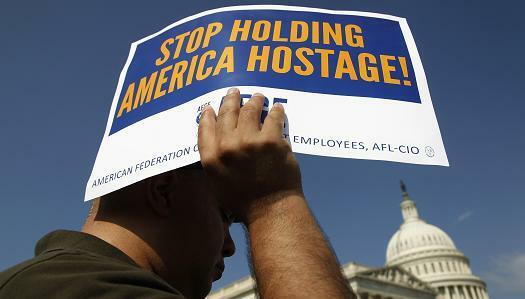 How is the government shutdown affecting you?